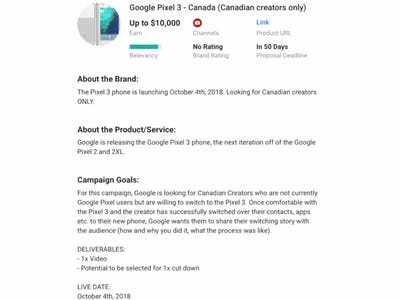 Google posted the announcement date for its upcoming Pixel 3 smartphones on its YouTube service site called FameBit. The Pixel 3 smartphone will be announced on October 4, 2018, which doesn’t come at much of a surprise, as previous Pixel smartphones were also released on October 4. 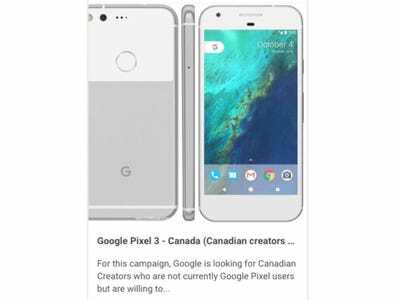 Google’s Pixel 3 and Pixel 3 XL smartphones will be revealed on October 4, according to information the company posted itself on one of its own websites. 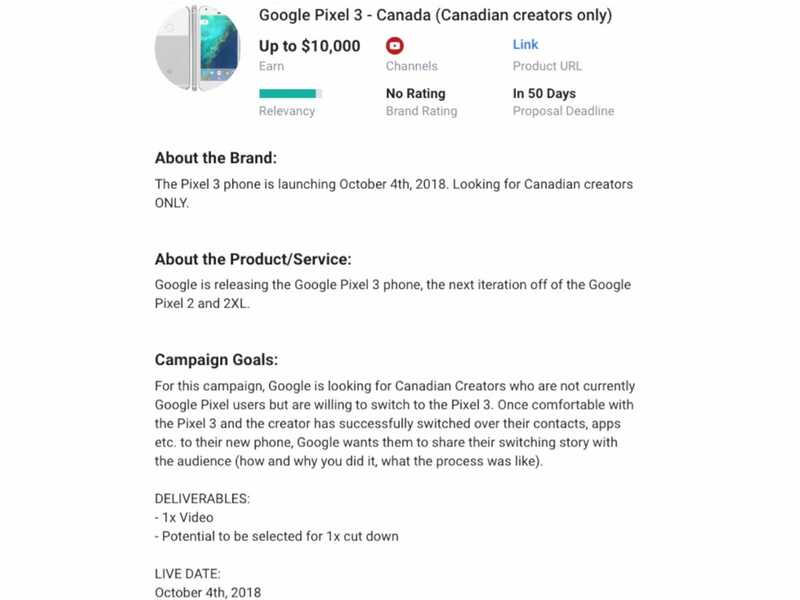 According to the “This Is Tech Today” YouTube channel, the Pixel 3’s reveal date was listed on Google’s FameBit website, where brands and companies can post listings for YouTube content creators to make videos on their products and services. 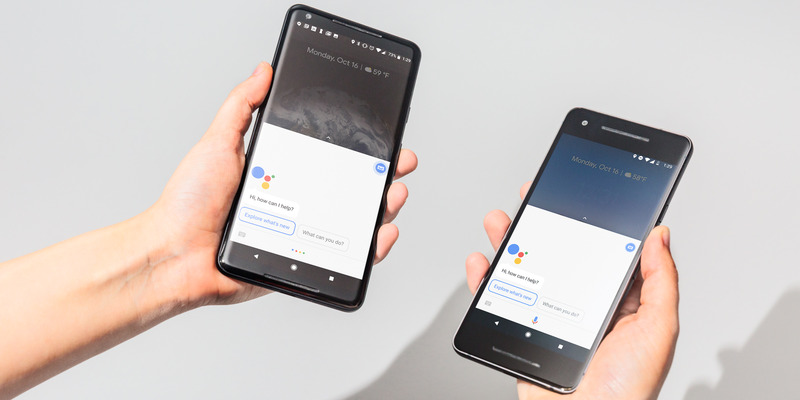 The device pictured on the listing on FameBit looks like the original Pixel’s design, and it’s very much unlikely to show the actual Pixel 3 design. If you’re looking to see what the Pixel 3 XL will look like, several photos have leaked already. YouTube’s FameBit website isn’t accessible to everyone, as you need certain credentials to create an account like a minimum of 5,000 subscribers. With that in mind, listings on FameBit aren’t confidential, so anyone with a FameBit account could easily report what they find on the site. Either way, it seems like the three of the biggest tech companies on earth are carelessly “leaking” information all over the internet, including Samsung and its upcoming Galaxy Note 9 smartphone. Even Apple is leaving hints about its future iPhones, whether its intentional or not, in the code for the upcoming iOS 12 operating system.